Indian rock-cut architecture represent greater craftsmanship and religious believes. The engravings and relics of rock-cut caves in India also have greater importance. Followings are top 9 rock-cut caves in India. Barabar caves in the Barabar hills of Andhra Pradesh is the oldest existing rock-cut cave in India. 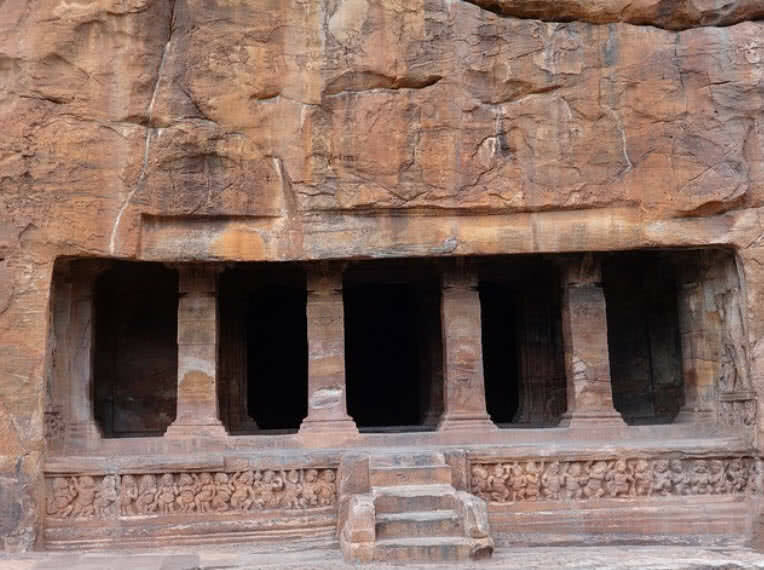 These caves were constructed in 200 B.C during the reign of emperor Ashoka. 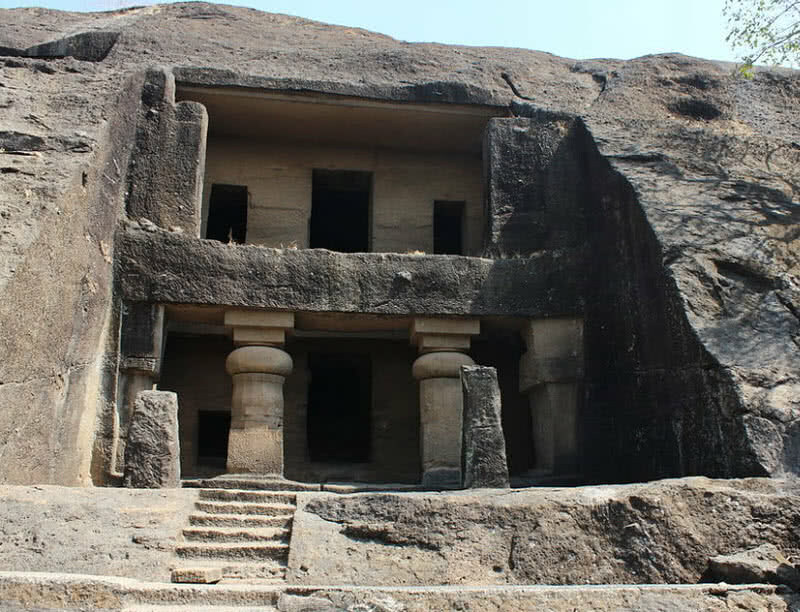 The four caves of Barabar carved out on giant granite rock and named as Lomas Rishi, Sudama, Karan Chaupar and Viswa Zopri. 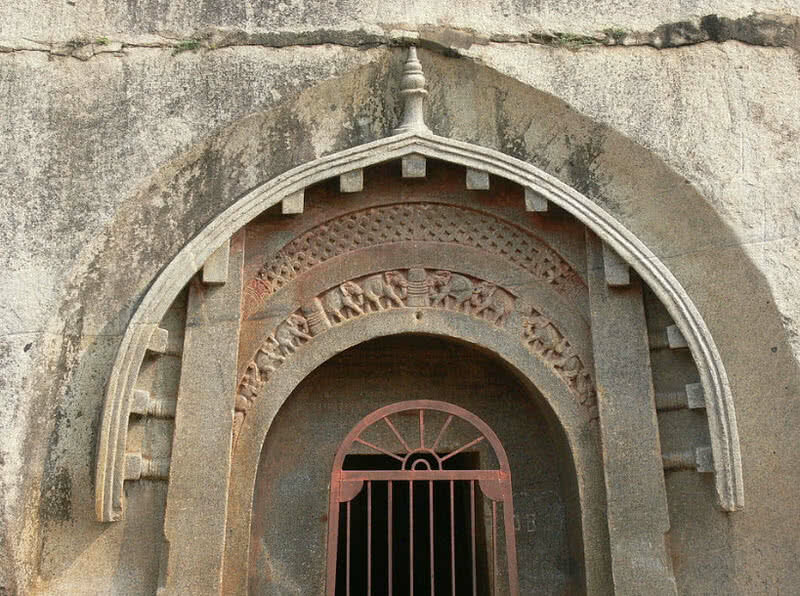 The inscriptions from Barabar caves reveal that the caves are meant for Buddhist monks of Ajivika (A group of Buddhist monks in ancient India). The Lomash Rishi cave is the most important caves at Barabar hills. The exceptional carving made the facade of the cave to look like a wooden hut. The cave also houses a rectangular chamber and has a glass like polished interior. The Sudama cave has circular-shaped halls and bow-shaped arches. The other caves in the Barabar hills were also cut so sharply and have beautiful interiors. The chambers of the Barabar caves were once used by Buddhist monks for worship and to gather together. The well polished walls of Barabar caves also make echo effect. The reverberation inside Barabar caves continued for a few seconds. Varaha cave temple in Mahabalipuram of Tamil Nadu is a world heritage site and outstanding example of Indian rock-cut architecture. The most notable feature at the site is the scupture of Varaha, one form of Lord Vishnu. It represents Varaha raising Bhu Devi, Goddess Earth from the ocean. The cave is dated back to 7th century also the earliest monument of historic city of Mahabalipuram. The mandapa on the entrance of the rock-cut temple has two pillars and semi columns. The bottom part of both pillars and columns feature Lion figure in seating position. The inner walls of the temple adorned with four sculptures including Varaha, Vishu as Trivikrama, Goddess Lakshmi and Goddess Durga. 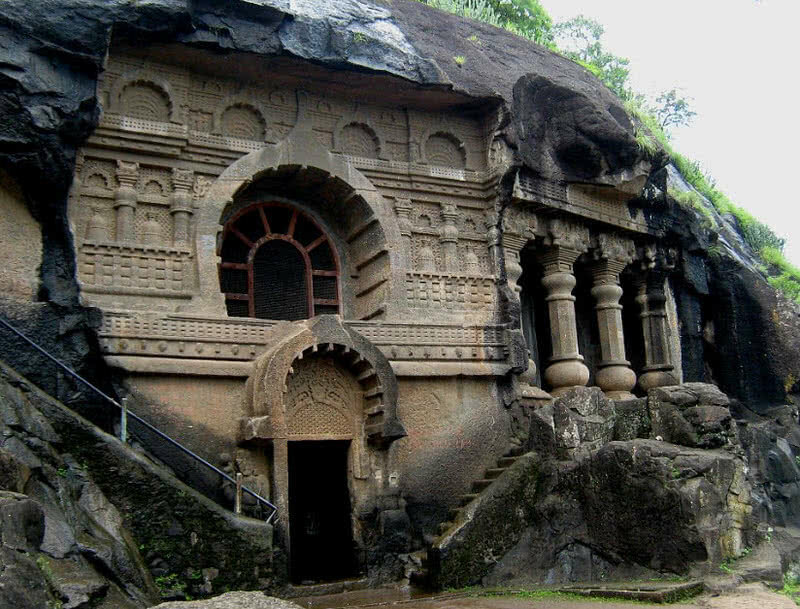 Pandavleni caves or Trirashmi caves comprise a group of 24 Hinayana Buddhist caves located in Nashik of Maharashtra. 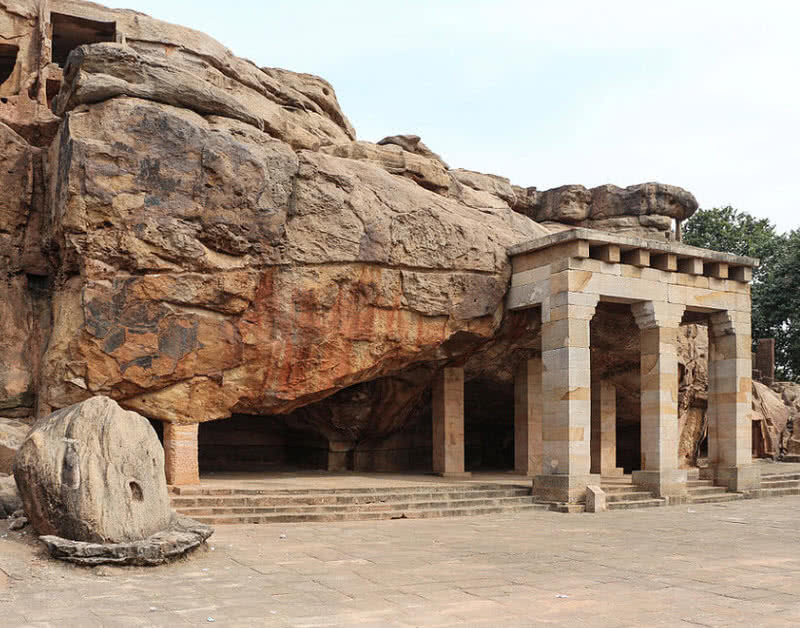 These rock-cut caves were carved between 1st century B.C and 2nd century A.D. Out of 21 Pandavleni caves 20 caves are ‘Viharas’ (Buddhist monasteries) and remaining one is a ‘chaithya’ (Buddhist shrine). Some of Pandavleni caves are interconnected by stone cut ladders. There is also rock-cut water tanks once used by Buddhist monks. The cave house idols of Lord Buddha and icons of Bodhisattva. The large caves at the site also contain a number of chambers and attractive sculptures. The inscriptions on the walls of the caves also describe about local kings. Badami caves lodge four magnificent caves carved on sandstone cliffs of Badami, Karnataka. Out of four Badami caves three are Bramanical and another one is Jaina. The Brahmin caves are dedicated for Lord Shiva and Vishnu. 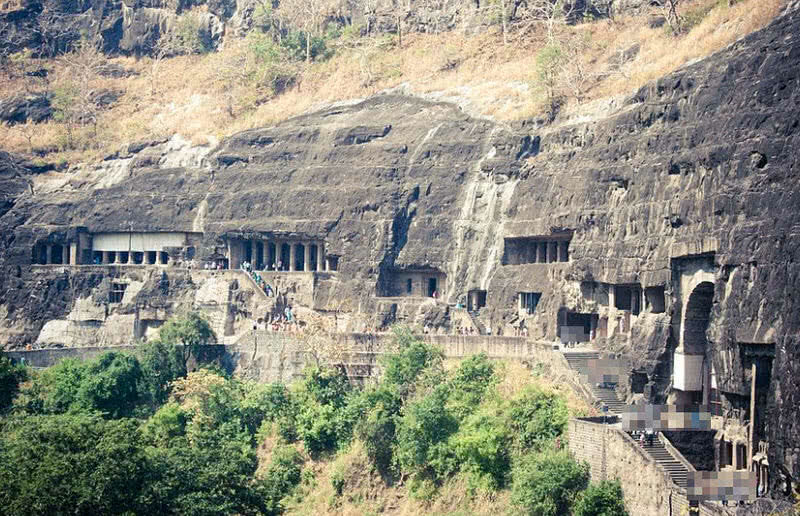 The caves were carved between 6th and 7th centuries by Chalukya dynasty. Once Badami was also the capital of Chalukya dynasty. The Badami caves reflect both Nagara and Dravidian styles. 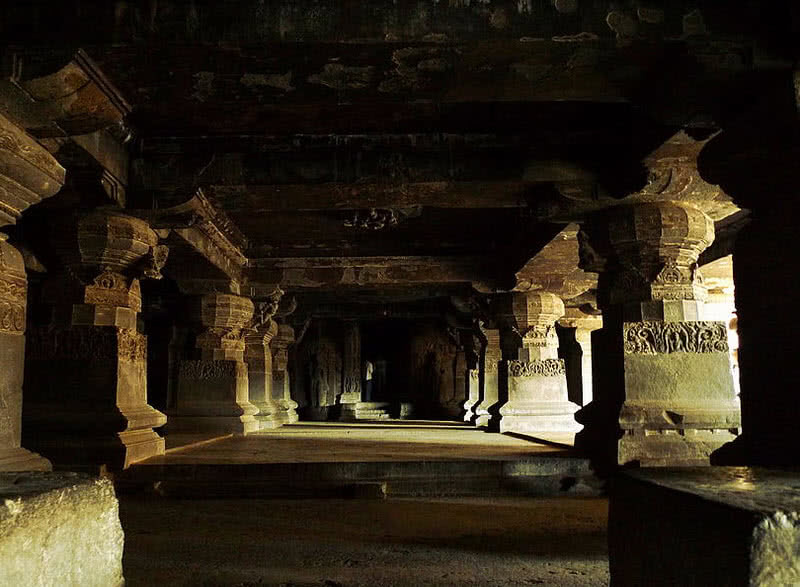 The ‘mukha mandapa (Entrance) of Badami caves features columns and brackets made of stone. The first cave at the site is dedicated to Lord Shiva. This cave has carvings of 18 armed Shiva in a dancing pose, Ganapati, Nandi, Ardha Nareeswara and Shankaranarayana. The second cave is dedicated to Lord Vishnu. The ceiling of the cave features anantasayana Vishnu, Brahma, Vishnu, Shiva and Ashtadikpalakas. The third cave is the largest one of Badamni caves, dedicated to Lord Vishnu. . It houses giant statues of Narasimha, Paravasudeva, Bhuvaraha and Harihara. The Jaina cave at the site contains image of Mahavira. The cave also contains idols of Yakshas, Yakshis and Bahubali. Kanheri caves were one of the major Buddhist centers in India, located in the Sanjay Gandhi National Park in Mumbai. The Kanheri caves composed of one hundred and nine caved on carved out of massive volcanic rock. These rock-cut caves were carved between 1st century B.C and 10 century A.D. The site also contains rock-cut channels and canals to store rainwater in large tanks. The larger caves at the site were once used by Buddhist monks as Chaityas, The prayer halls. These caves also contain giant stupas, sculptures and reliefs of Lord Buddha. Most of Kanheri caves are used as Buddhist monasteries called Viharas. 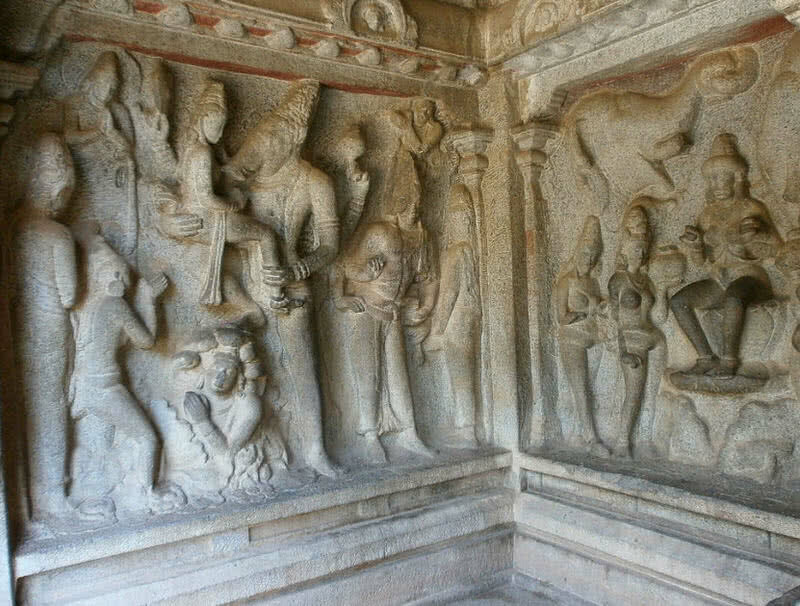 The walls of Viharas were also carved with reliefs of Lord Buddha and Bodhisattva. There are 56 inscriptions and 26 epigraphs on the walls of Kanheri caves. The adarbar hall or Cave 11 at the site also features four inscriptions from different periods in history. 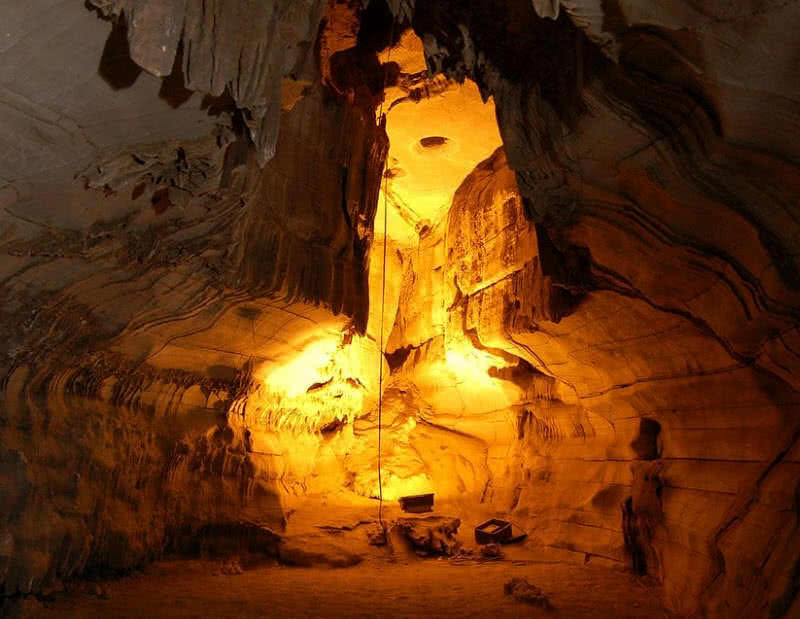 It is the second largest caves in India, located in Kurnool district of Andra Pradesh. Beleum caves were formed by continuous actions of an underground river on black limestone deposit. The caves are almost 3229 meters long and deepest point measures 150 feet from the ground level. There are passageways, chambers and galleries inside Belum caves. These caves were once used by Buddhist monks and Jains. Archaeological survey of India also uncovered remnants of vessels dated to 4800 B.C from these caves. It represents the historical importance of Belum caves. The incredible stalactite and stalagmite formations are the main highlight at Belum caves. One of the sections of Belum caves called thousands hoods represents hoods of cobra shaped stalactite formations. Another section called ‘pillidwaram’ has Lion-head shaped stalactite formation. In the ‘Banyan tree hall’ section the visitors can see a huge pillar with hanging stalactites. The amazing stalactites formation made the pillar to look exactly like a banyan tree. The stalactite formation on other parts of the Belum caves produce interesting sounds when they get struck with some objects. This section is called as ‘Saptavarala Guha’. The meditation hall at the caves houses many artifacts of the Buddhist period. This hall also used by Buddhist monks centuries ago. The Udayagiri caves in Bhubaneswar city of Odisha have great archaeological and historical significance. It represents earliest Jaina rock-cut architecture in India. There are 18 existing caves in Udayagiri hills. The adjacent Khandagiri also has 15 caves. The caves of Udayagiri are partly natural and partly carved by the order of Jain king Kharavela in 1st century B.C. The entrances of Udayagiri caves have attractive columns and arches with decorations. The elephant cave of Udayagiri features legible inscriptions of king Kharavela. The engravings on the walls of these caves represent arts, important events, significant people and religious observances. Ellora caves include 34 monasteries and temples located in Aurangabad district of Maharashtra. The cave complex extends over 2 kilometers and carved out of volcanic basaltic formation. It is a world heritage site and one of most important ancient monuments in India. The monasteries and temples of Ellora caves dedicated to Hinduism, Buddhism and Jainism. Thus ellora cave complex represents the great religious tolerance of ancient India. The Ellora caves were built between 6th and 10th centuries. The Buddhist caves were built at first, between 550 A.D and 750 A.D. There are 12 Buddhist caves at the site. In the second phase of the construction 17 Hindu caves were built between 600 A.D 870 A.D. The four Jain caves of Ellora complex excavated in the last phase of construction, in the 10th century. The great Kailasa cave (Cave 16, Hindu cave) of Ellora dedicated to Lord Shiva and named after his home in the Himalaya. This cave is the largest single monolithic cave in the world. The cave features a large hall with sixteen pillar. There is also main sanctum with Shiva linga and separate section for ‘Nandi’, gatekeeper of Lord Shiva beside the sanctum. Most of Buddhist caves of the Ellora complex are monasteries. Some of these caves include carvings of Lord Buddha and Bodhisattva. Many of Hindu caves contain engravings that depict wedding of Lord Shiva and Goddess Parvati. The Jain caves represent different aspects of Jain philosophy and asceticism. The walls and ceilings of the Jain caves also decorated with exceptional artworks and paintings. It is a cave complex that consist of 30 Buddhist cave monuments. The exceptional sculptures and paintings of Ajanta caves regarded as finest existing examples of Indian art. The Ajanata caves were carved on horse shoe shaped rock. The earliest 10 caves of the site constructed in 2nd century B.C and second phase construction took place between 5 and 6th centuries A.D. UNESCO recognized this site as a world heritage site in 1983. The 24 caves of the site were monasteries, five were temples and remaining one is an unfinished work. Buddhist monks used the Anjanta caves for more than 9 centuries and abandoned in AD 650. The historic rock-cut caves were rediscovered back in 1819 by a British officer. The wall paintings are the most striking attraction of the Ajanta caves. The multiple layered paintings of Ajanta illustrate Jataka stories and events from the life of Lord Buddha. The mural paintings and ceiling decorations on cave 2 represent the birth of Lord Buddha. The cave 26 contains impressive sculpture of reclining Buddha. The sculpture represents the dying and nirvana (State of enlightenment) of Buddha. Many of the caves of Ajanta also contain impressive sculptures and stupas.